Well hello...in little more than a week it's time for the Winter Edition of Heroes Dutch Comic Con. 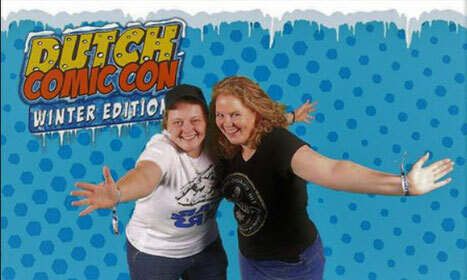 The first edition of Dutch Comic Con took place in 2015 and we did not miss an edition ever since. Throughout the years we met some amazing people in the Jaarbeurshallen (where DCC takes place). This year the Winter Edition will be held in the weekend of November 24th and 25th and they have outdone themselves with the guest list this year. Of course, Carola and I will be going on both days and Sigmund&Tristan will join us on Saturday. In this article we will focus on the movie and television guests of Heroes Dutch Comic Con.... and we will do that in alphabetical order. "A paperclip can be a wondrous thing. More times than I can remember, one of these has gotten me out of a tight spot..."
Richard Dean Anderson was born in Minneapolis (Minnesota) in 1950. He was the oldest of four brothers. As a child, he dreamed of becoming a professional (ice)hockey player. This dream ended when Richard broke both of his arms at the age of 16, but he kept his love for the sport. Growing up he was quite the adventurer. Besides hitchhiking and hopping freight trains; at the age of 17, he took a 5641-mile long bicycle trip through Canada and Alaska. Richard developed an early interest in acting, music, and art and tried to become a jazz musician for a short time (his father was an accomplished jazz bassist). He studied drama at St. Cloud State University and Ohio University, but he dropped out just before receiving his degree. He traveled to New York and San Francisco and eventually settled in Los Angeles. Anderson had multiple jobs (street mime, juggler) and he even worked at Marineland as a whale handler. He also wrote and directed the show. Richard describes this period as the happiest in his life. In this period he also played in theaters and he even joined a rock band. In 1976 he got his first serious role as Dr. Jeff Webber in "General Hospital". After five years he left the show and he appeared in a few other TV series. In 1985, however, he was cast for the role of Angus MacGyver in ABC's "MacGyver". 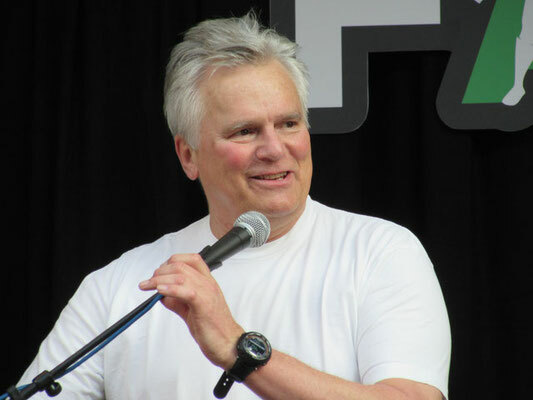 The show revolved around Angus MacGyver, a secret agent for the US Government and a troubleshooter working for the Phoenix Foundation. Sounds very James Bond-like right? Wrong! Macgyver is the classic anti-hero. He is educated as a scientist and worked as a bomb team technician during the war in Vietnam. He is afraid of heights and he doesn't use weapons. Well, except for his Swiss Army Knife. With this, his practical application of scientific knowledge and inventive use of common items (like a paperclip or Duct Tape) he can solve the most difficult problems. There is actually a very simple and short answer to the question "Who is MacGyver?" and that is this one: Macgyver ís a hero! 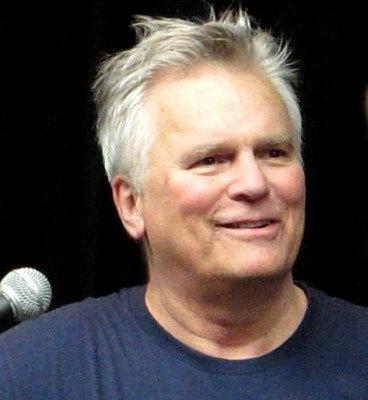 Besides for his role as MacGyver, Richard is known for another iconic role: the one of Jack O'Neill in the "Stargate"-franchise. He played Jack O'Neill up until the ninth season of the show and then quit to spend more time with his daughter. At FACTS we attended both of his Q&A's and we had a wonderful time... I mean he was really funny and when he talks you hang onto his every word. "Winter is coming" to Utrecht and it comes in its coolest form. Earlier this week Dutch Comic Con finalized their guest list with the man behind one of the most popular characters of "Game of Thrones". 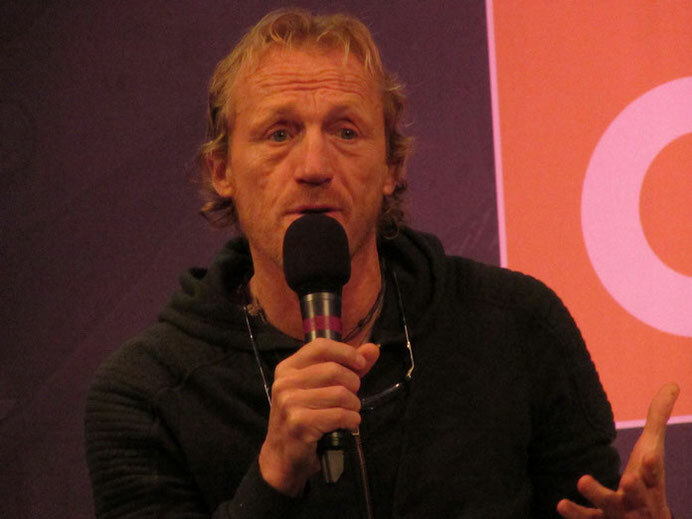 Jerome Flynn plays the role of Bronn in the immensely popular show, which will be coming to a climax late 2019. The last season of "Game of Thrones" will most likely consist of just 6 episodes, but apparently, they will be feature movie length. As I said, Flynn plays the role of Bronn in the show, but that is not all he is known from. So let's talk a bit more about actor and singer Jerome Flynn. Jerome Patrick Flynn was born in Bromley, Kent (UK) on 16 March 1963. He grew up in the rural parts of Kent. Jerome spent a lot of his childhood in the woodlands and fields surrounding their home. When he got back from school, he would go into the woods (often with his brother and sister). The family never had a lot of money and they were lucky enough to buy the house and surrounding land from a relative. But this meant that everyone had to chip in, to make it habitable. Being in a rural area, they had to grow their own food, but there were also chores like chopping logs of wood because there was no central heating. Jerome was never a big fan of the academic part of the school. A subject was only interesting for him when the teacher made it interesting. When he was in his teens Jerome took his first step in acting, by participating in school plays. He later says it was at that point that he discovered that girls found him much more interesting after he appeared in school plays. At one point his brother was directing a production of "The Crucibles" for the Sevenoaks Youth Theater. When one of the lead actors dropped out, Jerome filled in this role. After his experiences in the Youth Theatre, Jerome decided he wanted to pursue a career in acting. He loved being on stage pretending to be someone else and he also loved that people seemed to notice him more than before (especially girls). He dropped out of school and took a year off to travel. At the age of 18, he started a course in acting at the Central School of Speech and Drama in London. Over these years he appeared in theater productions all over the country. During the last year of his course, he started singing in a group called Carte Blanche and he toured the clubs. In 1986, Jerome appeared in the TV film "London's Burning" (picture above) as firefighter Rambo. In the same year, he played the role of soldier Franny in the "Monocled Mutineer". 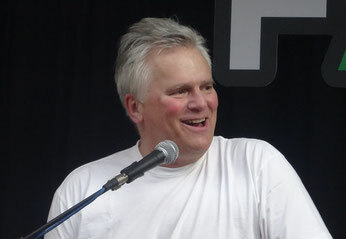 In the years following Jerome played in multiple British TV productions (like "Breaking up", "The Fear" and "Casualty"). In the early 90s Flynn landed a role in the TV series: "Soldier, Soldier". One of his co-stars was Robson Green. Now you might think, why is this important. Well after Flynn and Greene performed a version of The Righteous Brothers' "Unchained Melody", record producer Simon Cowell (known for "The X-Factor" and "Britain's got Talent") persuaded them to record the song. It reached number 1 in the UK Charts in 1995 and it stayed there for 7 weeks. The duo Robson&Jerome was born. In the two years following the duo had two more number 1 singles and two number 1 albums. When I read this I almost fell of my chair, I never made that connection between Jerome the singer and Bronn. In the late 90s Jerome played in some more TV shows (like "Badger") before he took a break from acting in 2000. In 2007, however, he starred in and directed the low budget movie "Rude Tales". And almost 10 years after his 'retirement', it was confirmed that Jerome would play the role of Bronn in a new HBO series based on the "A Song of Ice and Fire" novels by George R.R. Martin. I am of course talking about "Game of Thrones" and the rest is history. Over the last years, Flynn also starred in "Ripper Street" as Detective Bennet Drake. The show is set in London's East End in the late 19th century, during the aftermath of the Jack the Ripper attacks. Elijah Mikaelson is coming to Utrecht! We are of course talking about the one and only Daniel Gillies. Earlier this year Daniel was a guest at Bloody Night Con in Brussels. Bloody Night Con is a "The Vampire Diaries"/"The Originals"/ "Legacies" fan convention, organised by KLZ Events. Carola and I were over the moon, because Elijah was one of our favorite characters in "The Vampire Diaries"/"The Originals". We even have an Elijah song! Well at Bloody Night Con, we met the man himself and he was so cool. 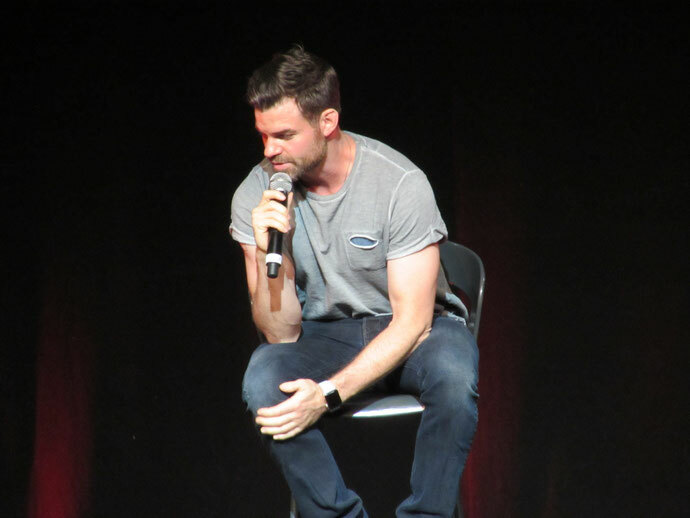 You can read all about it in our "Meeting Daniel Gillies at Bloody Night Con". Daniel J. Gillies was born in Canada on March 14th, 1976. When Daniel was 5-years-old, his parents decided to move back to their native country and the family moved to New Zealand. Although Daniel was born into a family with a medical background (his father was a pediatrician, his mother was a nurse and his great-great-great-grandfather was the famous plastic surgeon Sir Harold Gillies) Daniel developed an interest in acting. He studied at the Unitec School of Performing Arts and started his acting career by appearing in several productions of the Auckland Theatre Company. At one point Gillies got a leading role in the TV show "Street Legal" for two seasons, but after this he struggled to find a job. He decided to try his luck in Sydney (Australia), before moving back to Canada. He worked as a waiter and dishwasher for 2 months, before moving to Los Angeles (US). Eventually Gillies got cast for roles in "Spider-man 2" and "Bride and Prejudice". He appeared in several TV shows and movies (like "Masters of Horrors" and "NCIS"), before he got his big break when he was cast for the role of Original vampire Elijah Mikaelson in "The Vampire Diaries". The Mikaelson family quickly gained a lot of popularity and this led to a spin-off called "The Originals" in 2013. Besides this Gillies did manage to step in the medical footsteps of his family by playing the role of Dr. Joel Goran in "Saving Hope". Funny: Nate Buzolic (who plays Kol Mikaelson in TVD/TO) did a great impersonation of Daniel/Elijah at Bloody Night Con. Everyone who watched “The Vampire Diaries” and “The Originals” knows that Elijah has a very distinctive way of talking and moving and Nate did an awesome job! (Check out the video below). Daniel was very nice and in real life he is the complete opposite of his character Elijah. Daniel is hilarious and his panels were very entertaining. So if you have the chance to attend one of his panels, just do it. You won't regret it. Check out one of his Bloody Night Con panels below. Something wicked this way comes....and it comes from the West. Over the last years multiple actors and actresses from "Once upon a Time" made their way to the Jaarbeurs. What to think of: Emily de Ravin (Belle), Sean Maguire (Robin Hood), Jared Gilmore (Henry), Keegan Connor Tracy ( The Blue Fairy) and Lee Arenberg (Grumpy). For this edition, DCC adds not one but two names to that list. The first one is Rebecca Mader, who plays Zelena the Wicked Witch of the West/Kelly West. The other one is... well let's talk about that later. First things first: who is Rebecca Mader? Rebecca Leigh Mader was born on the 24th op April 1977 in Cambridge (UK). While she was still in school and working in a supermarket, her grandmother entered her in a beauty contest (behind her back). Although Rebecca came in second, she was offered a modeling job. Rebecca later said she never had a good time in school, she was bullied for the most part of her time in school and couldn't wait to finish it. Rebecca traveled the world modeling, but being a model was never her dream...she always dreamed of being an actress and she saw modeling as a necessity to get her into the acting world. When she was a model, she dreamed of going to New York to model, but her agency told her that her portfolio wasn't strong enough to take that step. At first, she listened to them, but at one point she had enough of it and she decided to just do it. Rebecca made her way to New York (with only £250 in her pocket) to chase the American Dream and that dream was becoming an actress. She did a lot of modeling jobs for big brands, like L'Oréal, Wella and Colgate. In the meantime, she kept on chasing acting roles. Her modeling agency in New York had a small acting department, where she started auditioning. In 2003 she got her first break when she stepped into the world of soap operas: playing Morgan Gordan in "All My Children", Margaret Cochran in "One Life to Live" and in "The Guiding Light". In the following years, she made guest appearances in multiple TV shows, before she got a role as series regular in Fox' "Justice". With this role in her pocket, she could officially stop modeling and she was (in her own words) thrilled! Also in 2006, she played opposite Anne Hathaway and Meryl Streep in "The Devil Wears Prada" (as Jocelyn). After one season "Justice" was canceled and Rebecca went back to auditioning. Eventually, she landed a role in the TV series "Lost" (Dr. Charlotte Lewis). At that time "Lost" was one of the biggest shows on television, so she knew this job was a big deal. She later stated that she really needed the role in "Lost", because at that point in her career she almost wasn't able to live from it anymore, so getting it was a "drop-to-the-knees, burst-into-tears" moment. In 2012 Rebecca got a recurring role on "No Ordinary Family" and in 2013 she played in other shows like: "Fringe" and "Work It". She also made her stage debut in "The Third Date" at the Hollywood Fringe Festival. In December 2013 it was confirmed that Mader was going to play the role of Zelena in "Once Upon a Time", which she sees as one of the most fun roles she played. In July of 2016 Netflix released a little show called: "Stranger Things" and at that time no one could imagine what a huge success this show would grow out to be. It seemed like everyone was talking about it and the critics and press couldn't praise it enough. On the 27th of October 2017 Netflix released the entire second season and by the time it was the 28th of October I had watched the entire season. I was in complete binge-mode and with me a whole lot of other people. And now we are all eagerly waiting for the third season to be released in 2019. One of the main characters of the show is the lovely Dustin Henderson, played by Gaten Matarazzo. Now if you don't know who I am talking about, get yourself over to the nearest computer, tablet, smartphone or television and start watching the show (you can also read our series tip of the show), meanwhile I will tell the rest of you something more about the guy behind Dustin. Gaten Matarazzo was born on September 8th, 2002 in New Jersey (US) as Gatano John Matarazzo III. He was born with cleidocranial dysplasia. This rare genetic condition affected the development of his facial bones, skull and teeth and caused him to be born without collar bones. Gaten says he has a mild version of the condition and he wears dentures as a result of it. He now uses his fame to raise awareness about the condition. He also fundraises for CCD Smiles. This organization helps to cover the costs of oral surgery for people with the condition. 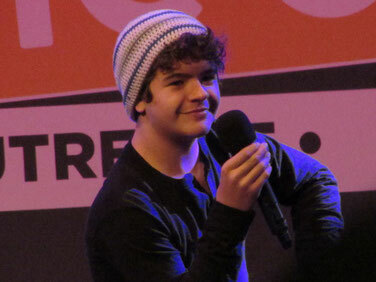 Gaten started acting on stage and he played roles in Broadway productions of "Priscilla Queen of the Desert" and "Les Misérables". He also played a guest role in the TV series "The Blacklist", before the Duffer Brothers cast him as Dustin Henderson is "Stranger Things". - Gaten says that if he could play anyone he wanted, he wants to be Spider-man. - Chris Pratt is his role model as an actor. - Gaten is still in school and his favorite subject is history. The least favorite is math. - The thing that scared him most when he was younger was: Michael Jackson turning into a werewolf in "Thriller". - He loves video games. - His all-time favorite movie is "The Goonies". Remember that there would be a second OUAT guest? Well, brace yourselves...because The Evil Queen is coming for you! That's right, the one and only Lana Parrilla will be a guest at Heroes Dutch Comic Con! I, for one, think that is awesome and with me a lot of other people. The first photo booth sessions were completely sold out in 40 minutes and the second batch took even less time to sell out. Luckily Carola and I were able to get a ticket so we are definitely going to meet this wonderful actress. Lana plays the role of Regina Mills/The Evil Queen in "Once Upon a Time" and she does one hell of a job! I just love her character, even when she is at her most evil. Lana Maria Parrilla was born on July 17th in Brooklyn, New York (US), to Sam Parilla and Dolores Dee Azzara. Her father was of Puerto Rican ancestry and he was a popular professional baseball player (he played Major League for 11 seasons). Her mother was a bank professional of Sicilian ancestry. Her mother was also a painter and Lana always stated that her mother was the biggest influence on Lana's artistic instincts. Lana was very close to her mother when she was a child. Another big influence on Lana's choice to be in the acting business was her aunt Candice Azzara (a popular Broadway actress in her time). Lana's parents divorced when she was just 3-years-old. After the divorce, she lived with her mother, until she was 10-years-old and then she moved in with her father. When Lana got bitten by a dog, which scarred her lip permanently, her father got very overprotective. Because of did he did not allow her to go to acting school alone. In 1994 (Lana was only 16-years-old), something terrible happened. Her father, Sam Parrilla was shot in the chest by a 15-year-old girl (following a car accident) and passed away. Sam Parrilla was only 50 years of age. After this tragedy, Lana finished high school and moved to L.A. to study acting at the Beverly Hills Playhouse. When she came out of this school, she started auditioning for acting jobs. In the early days of her career, she played in movies like: "Very Mean Man", "Spiders" and "Frozen Stars". Her television debut came in 2000 when she got a role in the sitcom "Grown Ups". A year later, however, she got a recurring role as Angie Ordonez in the fifth season of the comedy series "Spin City". This got her into the attention of several agencies. In 2001, she left "Spin City" and got a role in the short-lived, but critically acclaimed crime series "Boomtown". She played the role of Paramedic Teresa and for this role, she won an Imagen Award. Lana's popularity rose. When the show got canceled, just a few episodes into the second season, Lana fought against unemployment by accepting guest roles in shows like "JAG", "Six Feet Under" and "Medium". She also got a recurring role in "NYPD Blue". She was approached for a guest role in the series "24", starring Kiefer Sutherland, but when the producers saw her performance they offered her a full role. In the years following she kept on playing roles and in 2007 she got a small role in "Lost" (just like her two "OUAT" colleagues Rebecca Mader and Emilie de Ravin). In the years leading up to the role that changed her life, she kept on playing roles in mostly TV shows. And then in 2011, Lana was cast for the role of Regina Mills/The Evil Queen in "Once Upon a Time"...and she lived happily ever after (with her husband Alfredo Di Blasio and his three sons). Fun Fact: Lana has a very distinctive tattoo on her wrist: a feather. The inspiration for this tattoo came in one of the darkest periods in Lana's life. It was after she moved from New York to Los Angeles. She was sitting on a park bench, full of doubt about the choice she made. She asked for a sign that she was on the right path. A feather drifted by...throughout the years that followed she would always see a feather in times of doubt and struggle. This inspired her to take this feather tattoo, as she sees it as her symbol of strength and a reminder to have faith.